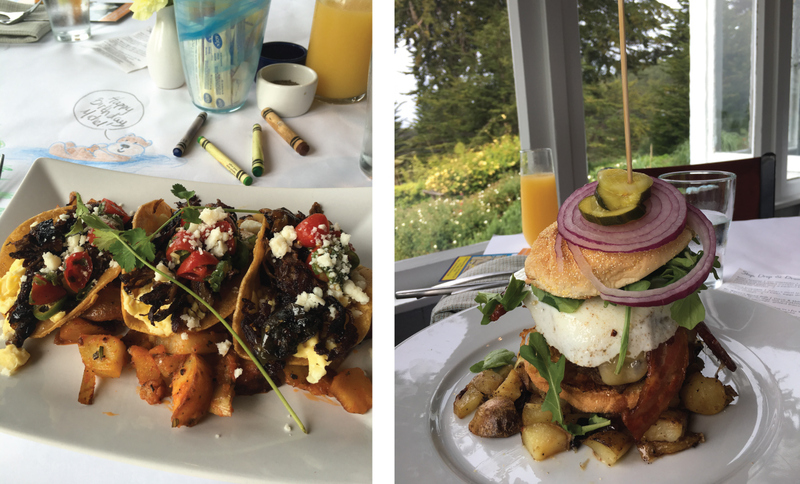 We snagged a seat at the window and got the watch a flurry of chipmunks, rabbits, quails, and other birds nibble on feed in the garden while we ate, and it was magical. Like straight out of a Disney movie magical. Plus, they had crayons out, allowing kids (and enthusiastic adults like myself) to color while waiting for their meal, they have a custom menu for dogs (!!! ), and this restaurant offers a hot sauce bar that features every kind of hot sauce you could imagine. Since it was Michel’s birthday, I didn’t subjugate him to long runs along the coastline – though that’s certainly how I would have kicked off my birthday celebration. Instead, we did a fair amount of hiking and beach walking. 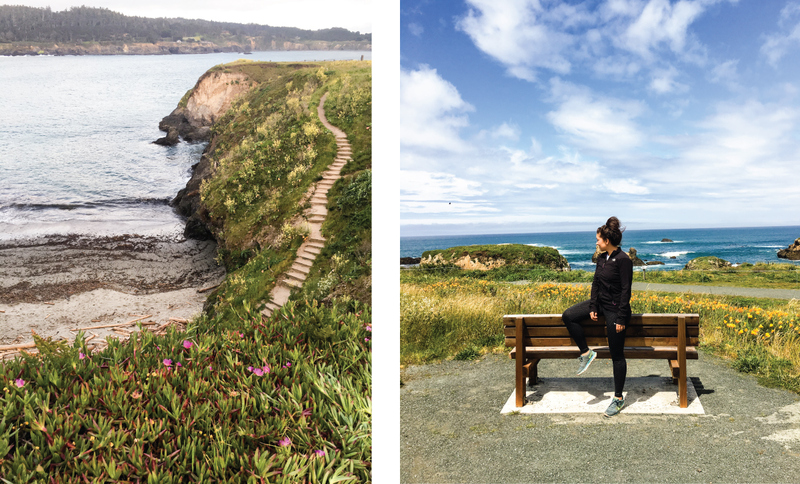 Just find a stretch within Mendocino Headlands State Park or Russian Gulch State Park, stroll it, soak up some sun and fresh air, and inhale the amazing ocean air as you take in the view. It won’t disappoint. Plus, everything is pretty flat, so hikers of all abilities can have a great time. 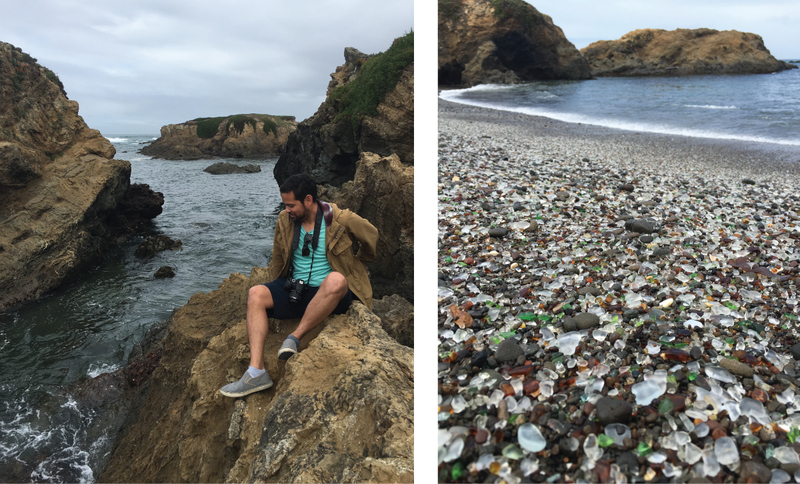 I highly recommend going to Glass Beach in Fort Bragg, a short drive north of Mendocino. It’s an old dump site that is now a beach filled with sea glass, and it’s a really cool site to see. Plus, we saw several seals swimming very close to the beach and hanging out on nearby rocks. Walk around, visit the Point Cabrillo Light Station on your way back to town, check out the visitor center to read some super cute haikus about whales and such from children, and really savor the drive as you head back down to the Bay Area. 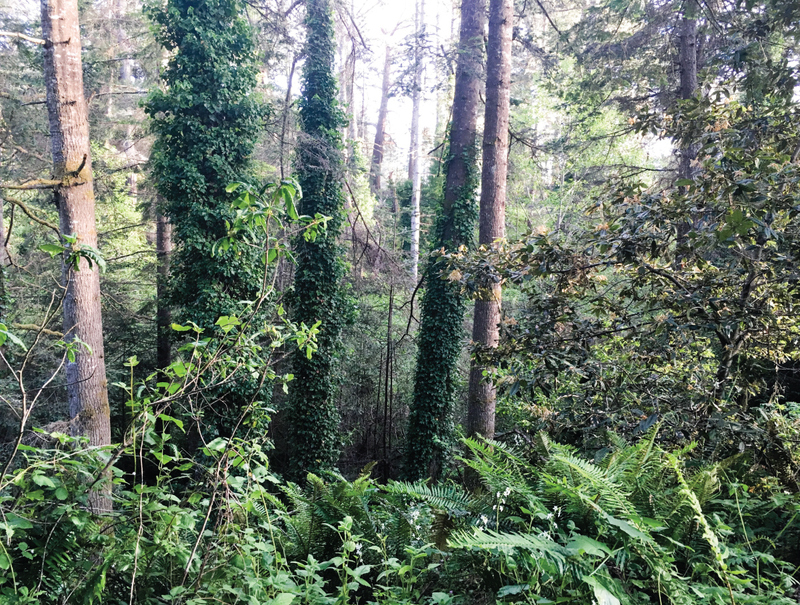 Those redwoods are out of this world. 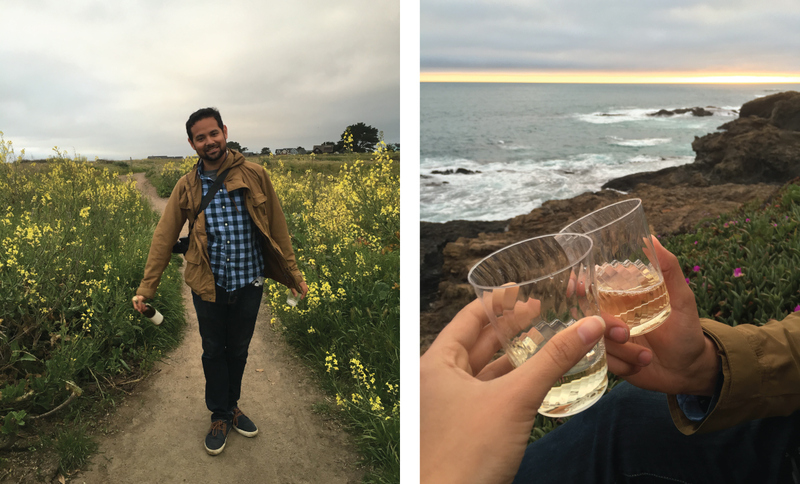 Do you have any other recommendations for a Mendocino getaway? If so, I’d love to hear. Happy getting away…and make it count!